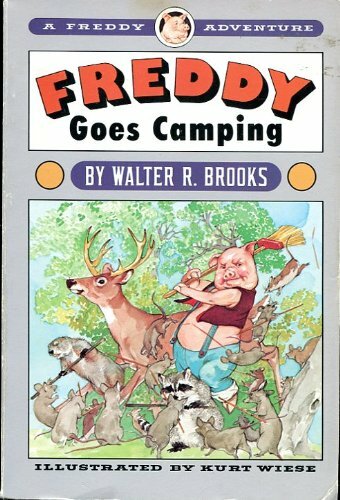 In Freddy Goes Camping, Mr. Camphor's aunts, Minerva and Elmira, were staying with him, much to his disgust. "There's two kinds of aunts," he said. "There's the regular kind, and then there's the other kind. Mine are the other kind." 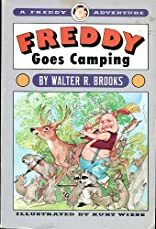 He enlists Freddy's aid in an attempt to rid his house of the ladies, with the result that Freddy and his chums become entangled with some extremely unfriendly ghosts in an abandoned summer hotel. Freddy camps out, goes canoeing, and tosses flapjacks like a pro when he's not mixing it up with the eerie Mr. Eha.